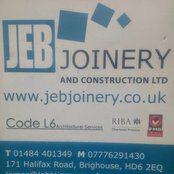 JEB Joinery is based in West Yorkshire and we cover all surrounding areas, including Brighouse, Halifax, Huddersfield, Leeds and Wakefield. We are able to undertake all aspects of joinery and can provide architectural and building services. Replaced timber on Tudor cottagePatio doorsNew build under construction If you are looking for your dream home building, an extension, a conversion or a renovation, we can arrange a site visit to discuss your requirements and where required provide an architect. 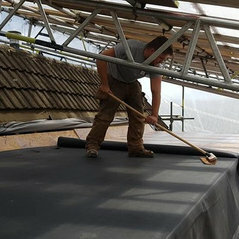 We have a team of tradesmen which we can provide to complete your project from start to finish.